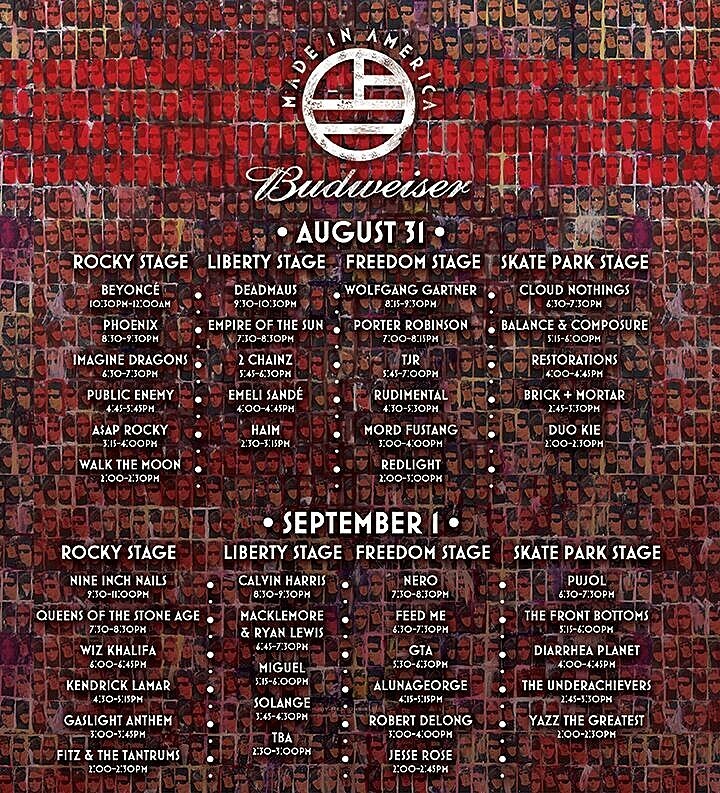 As discussed, the Jay Z-curated Budweiser Made In America Festival is returning this weekend to Philly’s Benjamin Franklin Parkway (8/31-9/1), and the mostly pop/rap/R&B festival just got a little more, um… punk. Aside from the fact that it already included The Gaslight Anthem (who are pretty much a festival regular by now anyway), the lineup now includes Cloud Nothings, Restorations, Balance & Composure, The Front Bottoms, Diarrhea Planet, PUJOL, and more. And you thought it was weird when Jay Z saw Grizzly Bear. 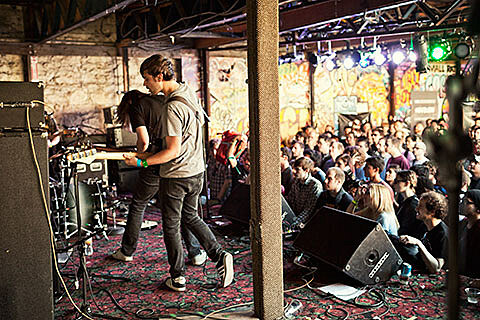 UPDATE: And one more: Wavves was added to the TBA slot on Sunday. Other non-punk additions that have happened since we last spoke include Rudimental and The Underachievers. The full schedule was also recently announced, and you can check that out below. Many of the artists playing Made In America also have NYC or NJ shows this weekend (or soon after), including The Front Bottoms, Diarrhea Planet, Rudimental, The Underachievers, Kendrick, Ab Soul & Jay Rock, AlunaGeorge, Haim, and 2 Chainz. Also, a number of the artists playing will be in NYC later this year to play Jay Z’s stomping grounds, Barclays Center, including Phoenix, Nine Inch Nails, Queens of the Stone Age, and Beyonce.